I don’t mean to dwell, but I can’t help myself. 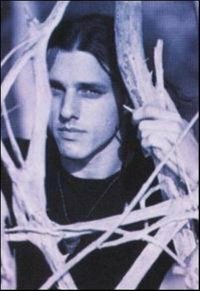 10 years ago today the father of death metal, Chuck Schuldiner, died at the age of 34 after struggling to fight a brain tumor. He had been undergoing chemotherapy when he caught pneumonia and his body simply couldn’t take any more. While the nation still reeled from the September 11th attacks and the fallout they caused, the international metal community lost one of its greatest visionaries. 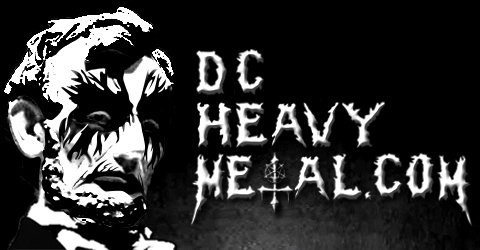 So today I ask that you play your favorite Death album in remembrance of all he did for the underground metal world. I don’t even know how to attempt to list all the things he did for fans of extreme heavy metal and I’m sure if I tried I’d just make a fool of myself for missing so many obvious things. Instead I’ll tell you a favorite memory I have with my favorite Death album, Symbolic. One night in August 2005 I was at a bar with a very old friend, one of my friends that I had grown up through childhood with, and I remember on the way home he put the Symbolic CD on in his car. I distinctly remember him saying how he loved this album and it was one of those albums you just never get tired of. I agreed, though I feel that way about most Death albums anyways. Unexpectedly, a week later my friend suddenly died. Now every time I listen to Symbolic I think of him, and today I thank Chuck Schuldiner for creating music that means more to me than just the notes being played and the words being said. Symbolic, as well as being a great album, is a gateway to memories of good times with an important person in my life who is now gone, and a way to make sure I don’t forget those times or the great person he was. Music is powerful in the way it attaches itself to memories and emotions like that, and that is one of the main reasons I love music so much. Pull the Plug will always be my favorite song. RIP Chuck! The first song hear was dead by dawn and is forever one of my favorite Death tunes. RIP Chuck! Uh, that’s a Deicide song. Guest post on Heavy Uber Alles Borracho CD release show!